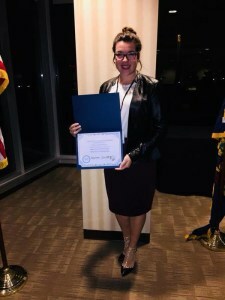 Erie, PA / Grantville, PA/ University Park, PA — Rebecca Amendola, a student at Penn State University, University Park, PA has been awarded the 1st Annual Carol McGrath Memorial Scholarship from the Pennsylvania Moving and Storage Association [PMSA]. 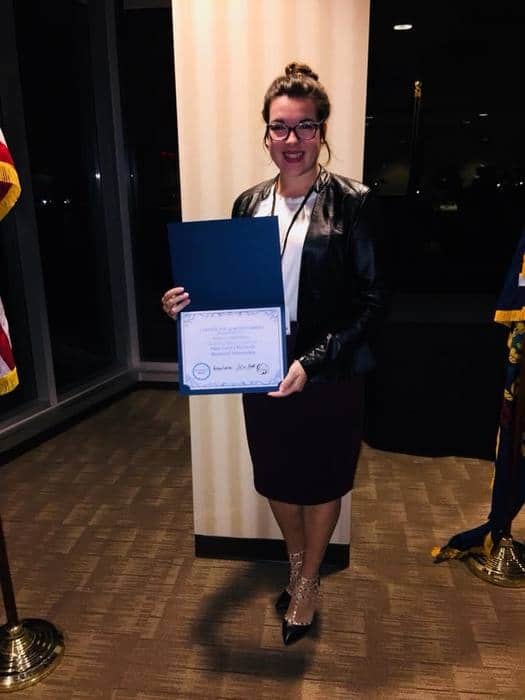 Amendola, the daughter of Victoria and Robert Amendola of Harborcreek, received the award during a banquet held at on Wednesday, October 18th at the Association’s annual conference at Penn National Raceway’s Hollywood Casino in Grantville, PA. Victoria is the General Manager of J.H. Bennett Moving & Storage, Inc., located in Erie, PA. The PMSA Scholarship program was put into place to help association members and their families ease the financial burden of pursuing higher education. PMSA scholarship awards are based on a combination of academic excellence and a written essay where the student is asked to describe why they deserve the scholarship award and what their future career goals are.